Imagine that you come across a stock that’s forming an ascending triangle pattern. You know that a breakout is likely to occur given the series of higher lows, and sure enough, the stock breaks out the following session on high volume. There was no fundamental news to justify the breakout—the price movement seemed to occur out-of-the-blue. Did the ascending triangle pattern predict the breakout? Or, did the chart pattern cause the breakout? Does the answer really matter in practice? Let’s take a look at these questions, what drives prices, and how traders can profit. Many forms of technical analysis are used to assess market sentiment. For example, a doji star candlestick pattern signals indecision in the market. It represents a session with low volatility and little price movement. These types of technical analysis aren’t driving prices because they aren’t predicting anything about the future—they’re merely providing some context for making a trade decision based on a wide range of other factors. Other forms of technical analysis are used to make specific predictions. For example, trend line support levels predict that there will be support at a certain price point based on past price behavior. These forms of technical analysis could be driving prices if there’s no fundamental reason for the price to react at those levels. It’s difficult to discern what factors are influencing prices at any given point in time since there are so many variables. There’s little doubt that technical analysis influences prices to some degree. 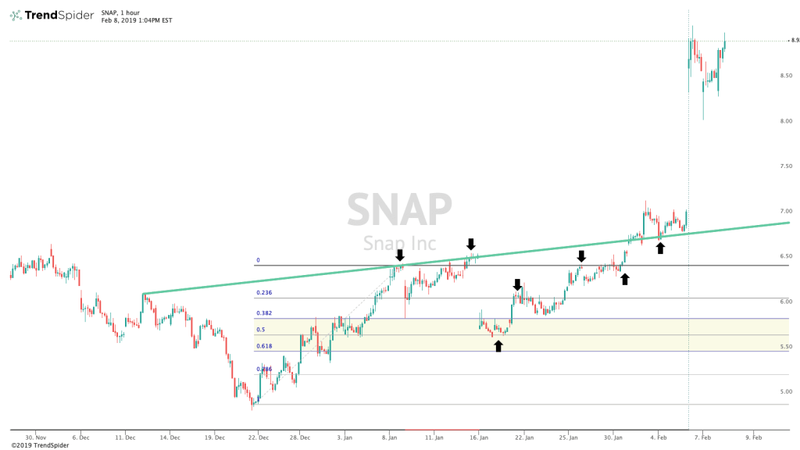 For example, a relatively small number of technical traders that short sell a stock that broke through a key support level could trigger a much larger move by traders that used the support level for stop-loss points or by investors that noticed the falling price and decided to exit long positions. These feedback loops are a major component of day-to-day market price movements. Technical analysis techniques that become self-fulfilling prophecies must necessarily be well-known. For example, widely followed pivot points are much more likely to generate self-fulfilling price reactions than little-known oscillators. The best indicators for self-fulfilling price movements are also require little subjective input or customization. After all, any subjectivity makes it less likely that all traders will be watching the same levels. Pivot Points: Pivot points are widely watched indicators that use the prior period’s high, low, and close to estimate future support and resistance levels. Moving Averages: The 5-, 10-, 20-, 50-, 100-, and 200-day moving averages often indicate areas of support and resistance. Fibonacci Levels: Fibonacci retracements of 23.6%, 38.2%, 50%, and 61.8% are often used to estimate areas of support, while Fibonacci extensions of 138.2%, 150%, and 168.5% are often used to predict areas of resistance. Trend Lines:Long-term trend lines can be reliable indicators of a self-fulfilling price movements. In general, trend lines become more reliable the more times the price rebounds from it. Self-fulfilling technical indicators tend to work best in markets where there’s a high level of trading. For example, the foreign exchange market may be more responsive to technical indicators than a thinly traded equity. In many cases, different markets also react to different indicators. Pivot points may be very predictive in some markets, but useless in other markets. Traders should experiment to see what works best in a given market. Traders should also keep in mind that, although technical indicators can be self-fulfilling, fundamental developments influence prices even more. For example, a strong trend line support level can be easily broken if a company reports better-than-expected earnings. Let’s take a look at a couple of examples of these self-fulfilling prophecies in action. Traders could have reacted to these trends by using the trend line and Fibonacci resistance levels as take-profit points or short-sale entry points, while the Fibonacci support levels could have been short-sale take-profit points, long entry points, or long stop-loss points. Traders can use these insights as a directional bias or when setting stop-loss or take-profit points. 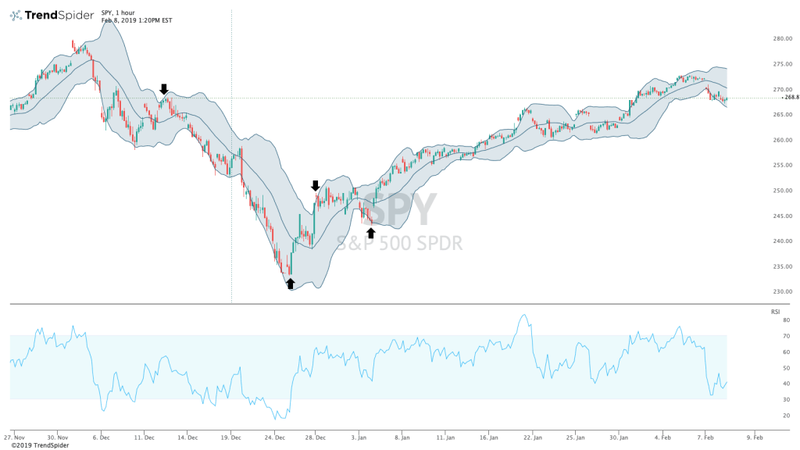 For instance, traders could have established a long position after December’s breakout and then used the upper Bollinger Band® level as a take-profit point and the lower Bollinger Band® level as a stop-loss point. Technical analysis is a great tool for assessing market sentiment and predicting price movements depending on the indicator or pattern. While it’s difficult to say if technical analysis is predictive or a self-fulfilling prophecy, the insights can be applied by traders to profit in either case. The key is selecting the right indicators and using them in the correct manner, while being mindful of fundamental factors that could come into play. TrendSpider makes it easy to automatically analyze price charts using a wide range of technical indicators, chart patterns, candlestick patterns, and Fibonacci levels. In addition, traders can look at multiple timeframes to ensure that they aren’t missing any long-term indicators on short-term price charts. Sign up for a free trial today.